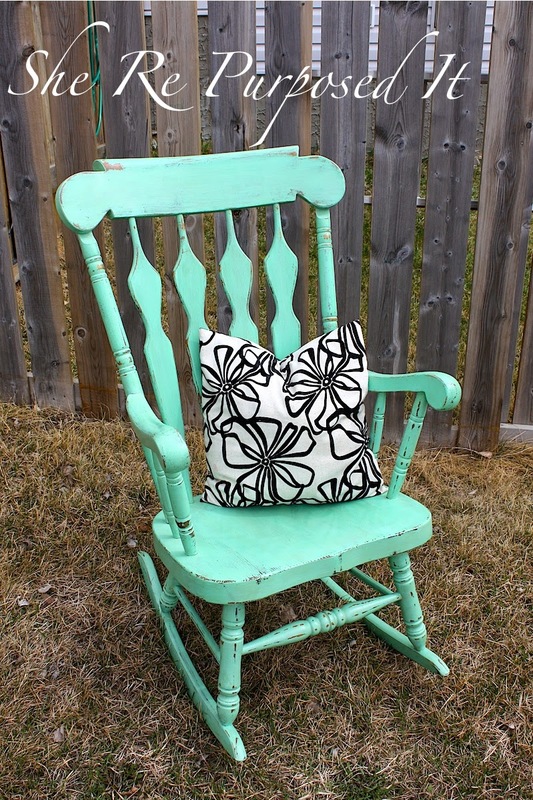 I have always wanted to do a rocking chair. This week I got what I wanted! 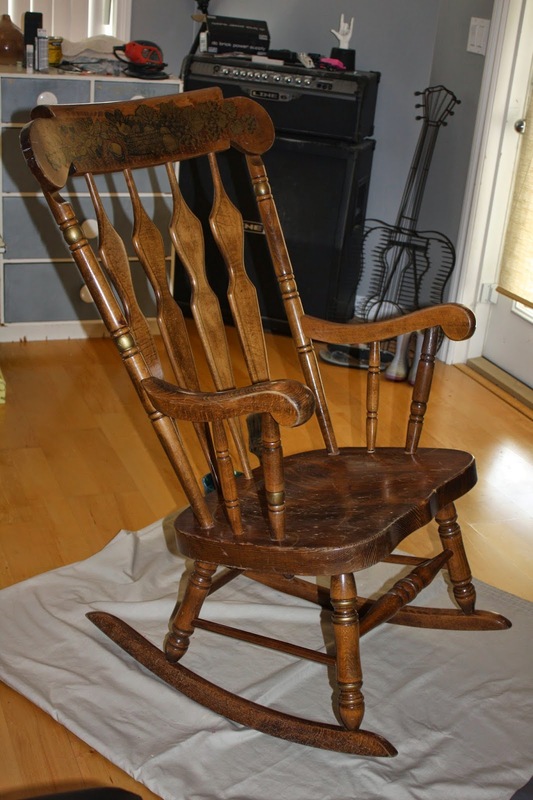 A lovely wooden rocking chair but lets be honest here she would look much better freshened up! 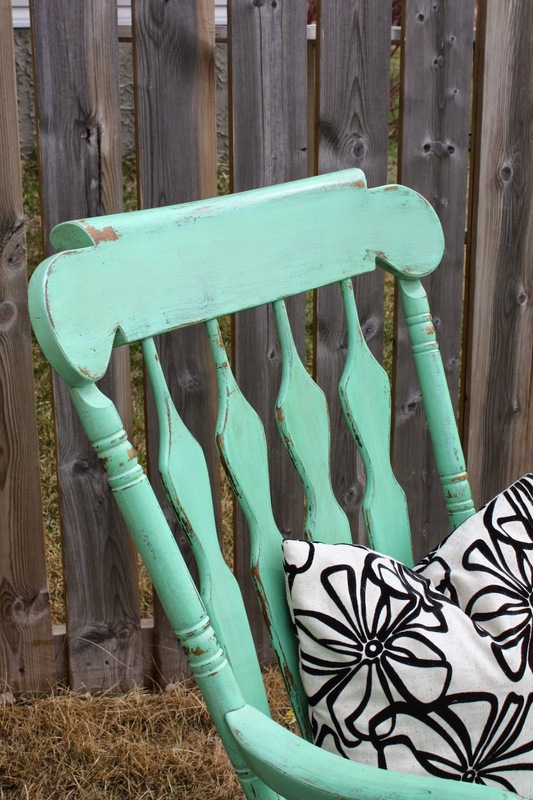 I chose a mint green and dark wax to make her over. 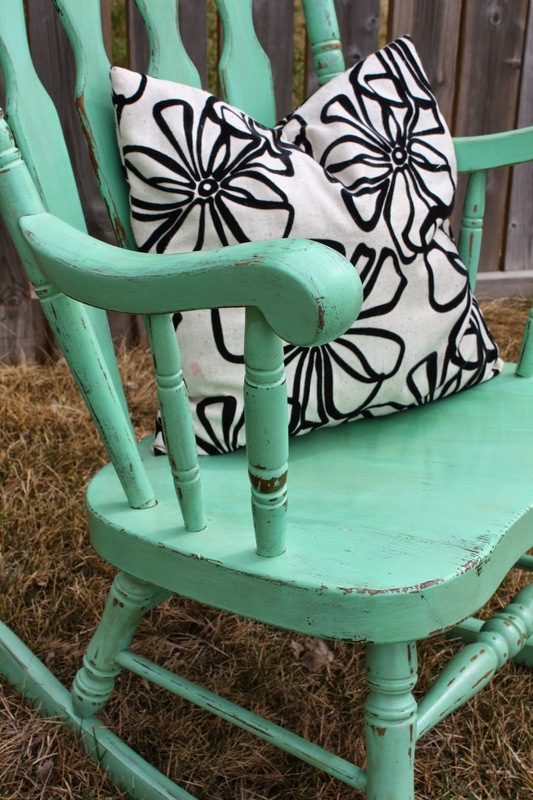 Now wouldn't you just love to be sitting in her prettiness with a cup of tea and a good book! Or even better a little bitty baby and a lullaby! 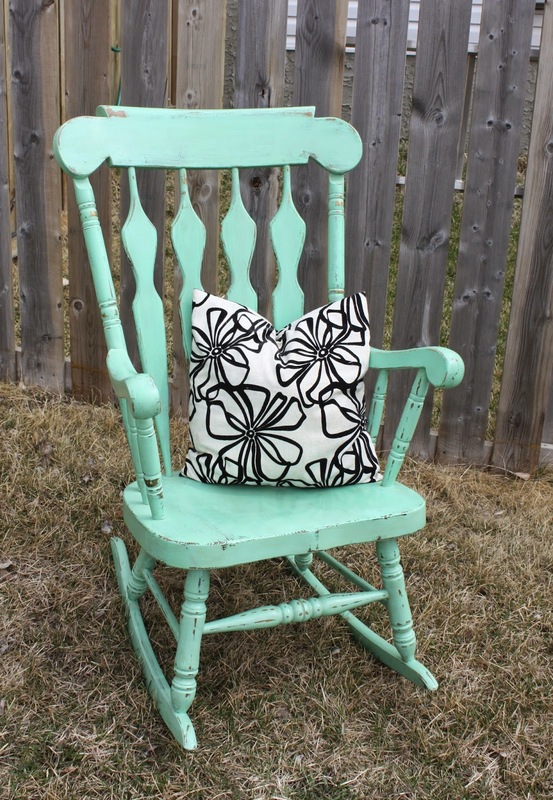 Either way this chair will be loved for years by its new owner. Love it! I have one halfway done right now! Awesome!! What color are you doing? This is great, I love the color you used. The rough finish on it is amazing! Thank you Emily!! I appreciate the comment! She looks her age and that's a good thing. 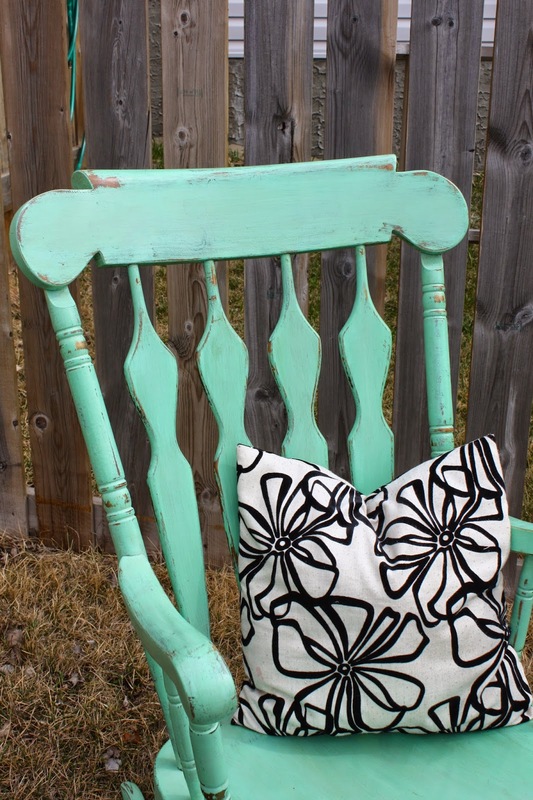 Love the color and the distressing. From brown to beautiful.